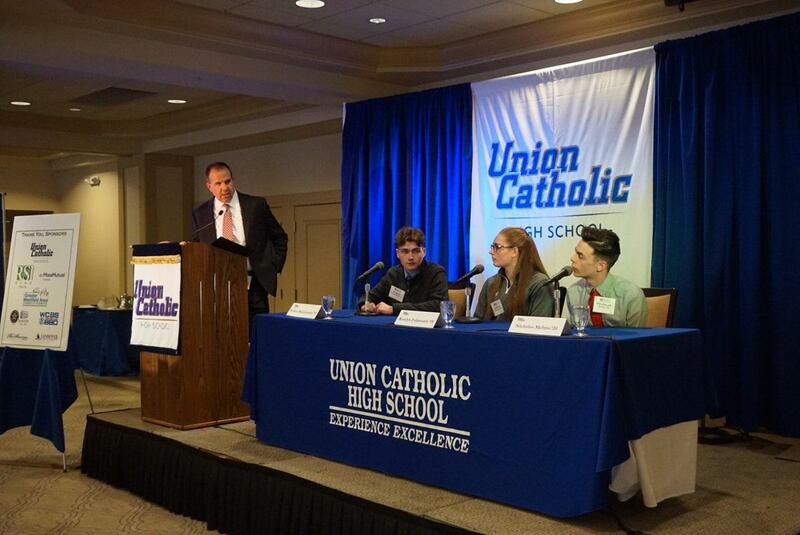 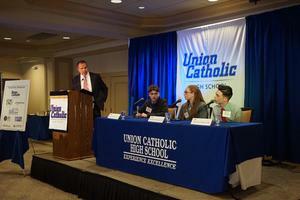 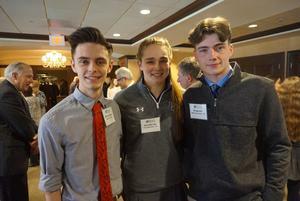 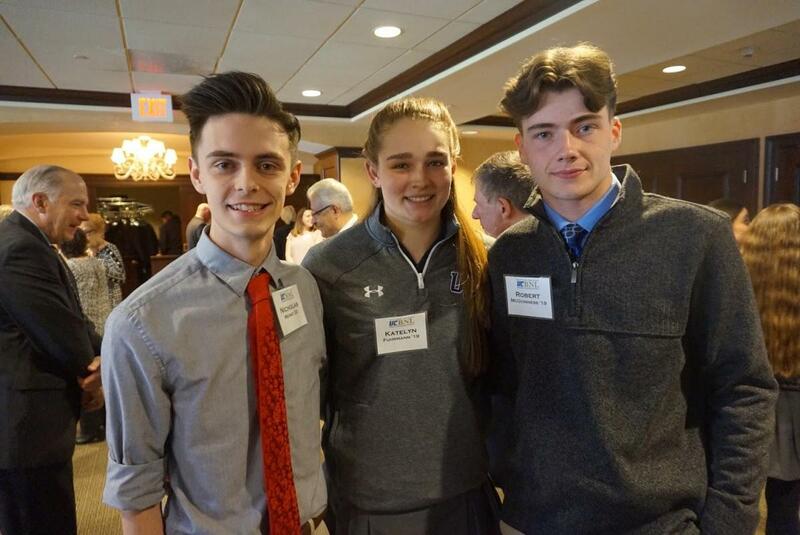 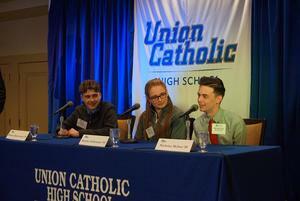 Union Catholic’s fifth annual Business Networking Luncheon at the Shackamaxon Country Club on Thursday provided a look into how technology is affecting businesses and included interesting insights from students. 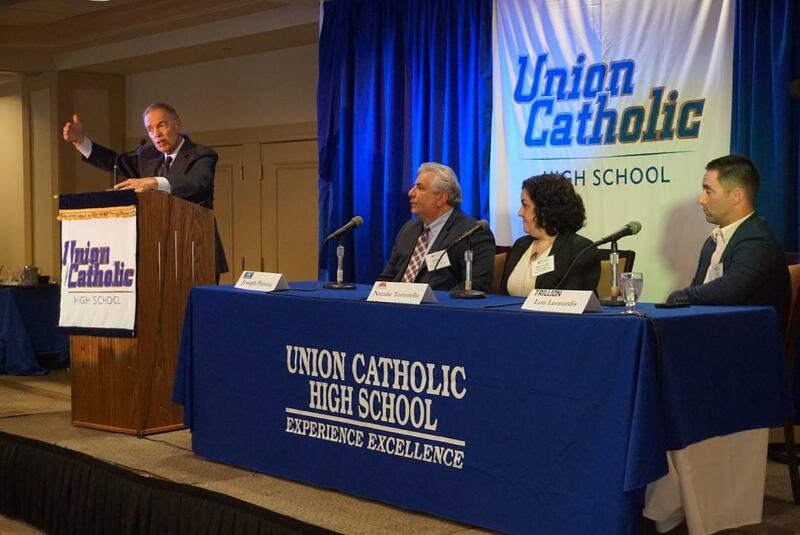 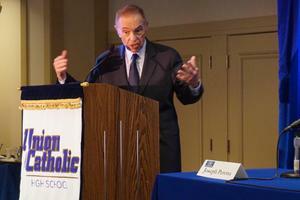 A packed room was welcomed to the luncheon by Union Catholic Assistant Principal Dr. James Reagan Jr, and Union Catholic Principal Sister Percylee Hart, RSM, followed with her opening remarks. 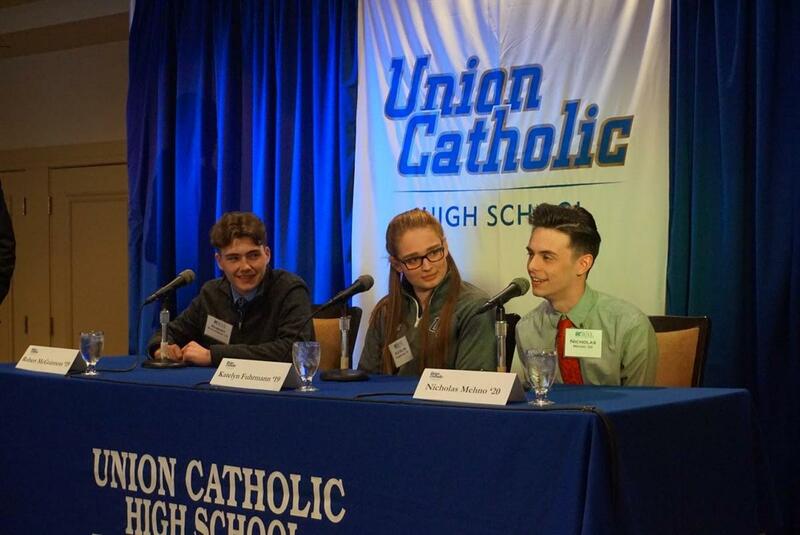 Dr. Reagan then moderated a very illuminating panel discussion with UC students Bobby McGuinness, Kate Fuhrmann, and Nick Mehno, who discussed what they buy, how they buy, and what draws them to buy. 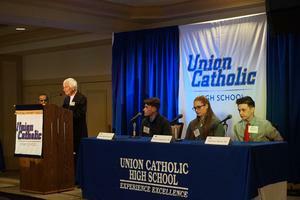 The panel consisted of Lou Leonardis, a Partner and Branding Creative Director for Trillion, Joseph Perona, President & CEO of JV Transportation Consultants Inc., and Natalie Tortorello, the Chief Operating Officer at Our House, Inc.
Mrs. Susan Dyckman, Union Catholic’s Director of Development and Donor Relations, was very pleased with how the day went.